2017 has been a ridiculously strange year. There have been countless Mothman sightings reported in the Chicago area. 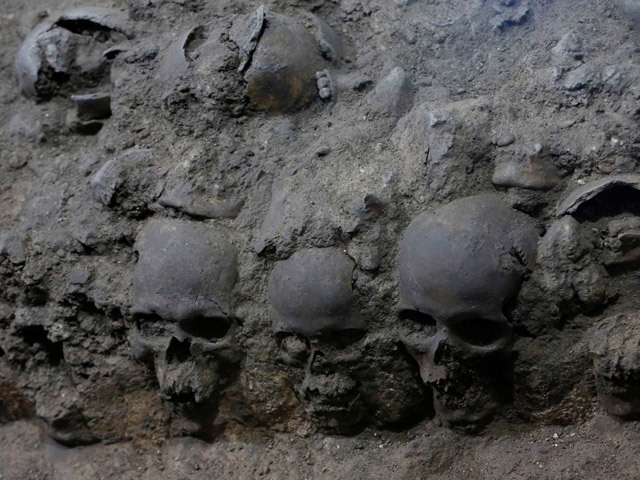 Not one but two famous mustaches were discovered intact in their graves during high-profile exhumations. 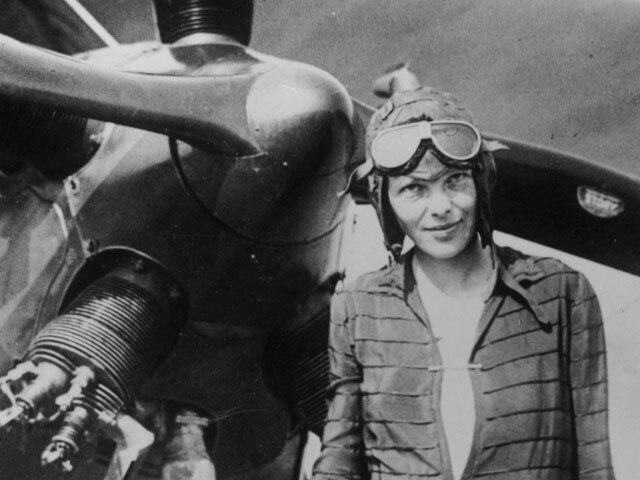 A mysterious photo was discovered that seems to offer clues to the whereabouts of Amelia Earhart after her disappearance. Hugh Hefner died. Charles Manson died. 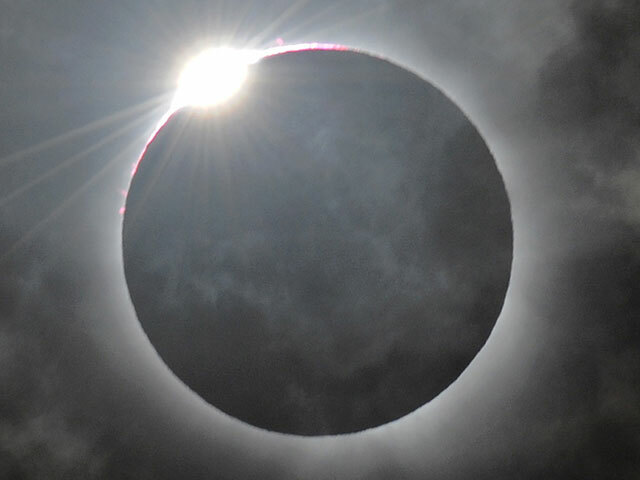 Luke Skywalker died. 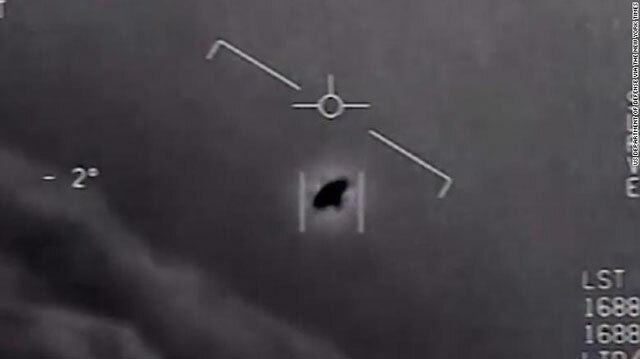 And, most recently, the US government admitted it has been studying UFOs for the last decade to assess the threat to national security. 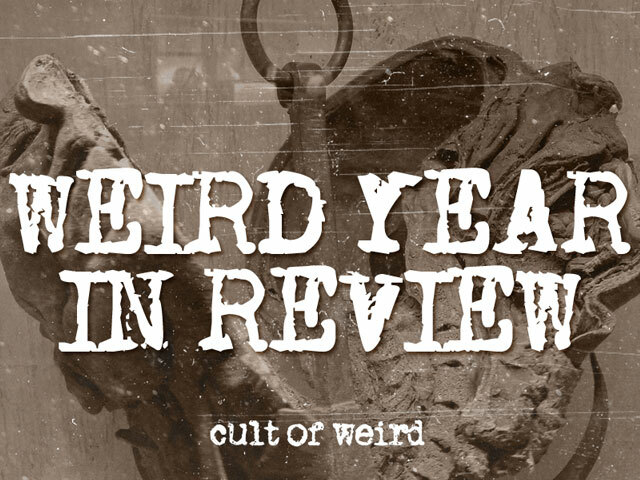 It’s been an interesting year here at the Cult of Weird hive, as well. Every attempt I made to get out from under the crushing weight of the walls around me, and the stagnant routines I was drowning in…lead me to some new bit of irresistible weirdness. I stumbled into a cemetery founded in the mid-1800s on the property of a family who believed the dead taught their daughter to play the piano. In Wisconsin Dells, the “water park capital of the world,” I came face to face with the mummified head of German serial killer Peter Kurten, the Vampire of Dusseldorf. 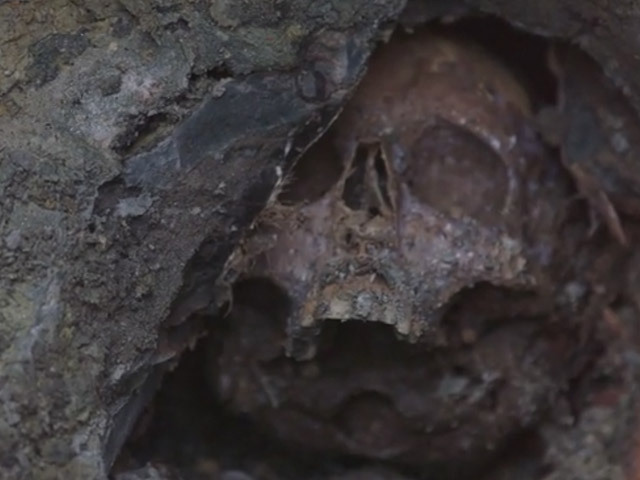 I met filmmaker John Borowski and had a fascinating conversation about the exhumation of H.H. Holmes for the History channel series American Ripper. And, crossing a big item off my bucket list, I saw Stephen King with his son Owen in Milwaukee during their fall tour to promote their new novel Sleeping Beauties. Also, my sister, along with my favorite Irishman (and soon to be brother-in-law, congrats, you guys!) 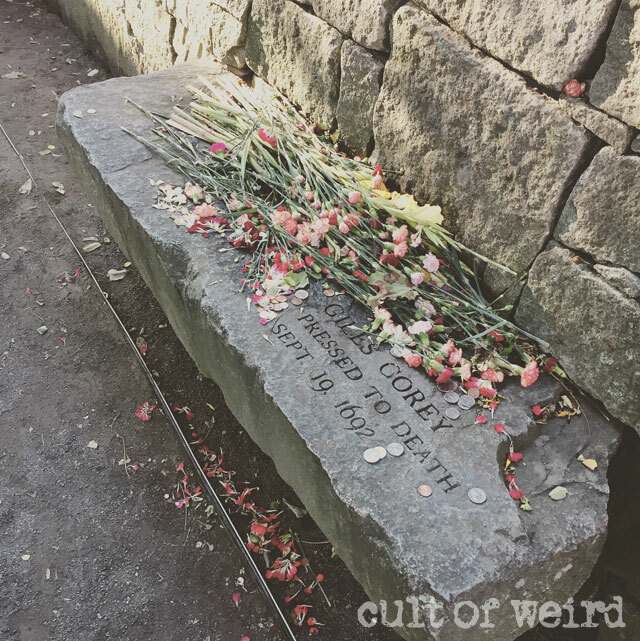 took Cult of Weird on the road with an October trip to Salem on Friday the 13th. 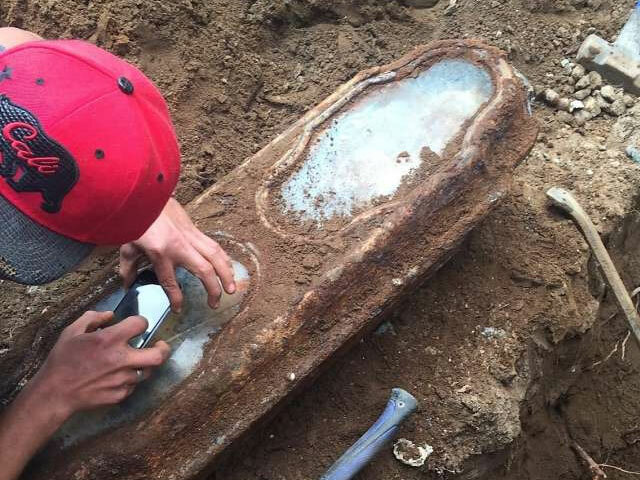 Researchers discovered the identity of a young girl found buried beneath a home in San Francisco, left behind when the city’s cemeteries were moved to Colma. The grave of H.H. Holmes, America’s “first serial killer,” was exhumed to prove whether or not he conned his way out of his 1896 execution. 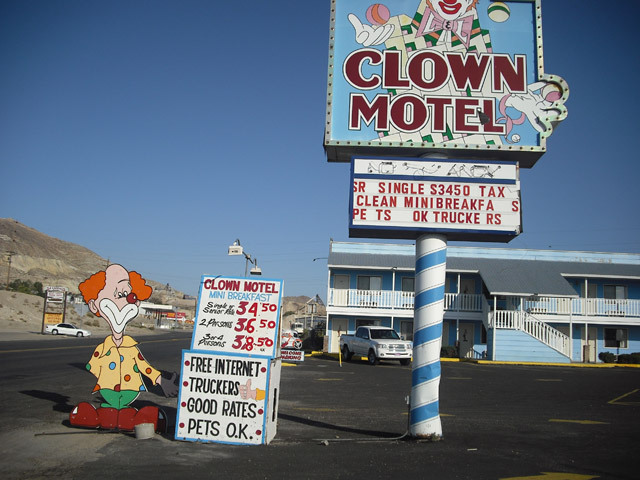 The haunted clown motel was put up for sale. 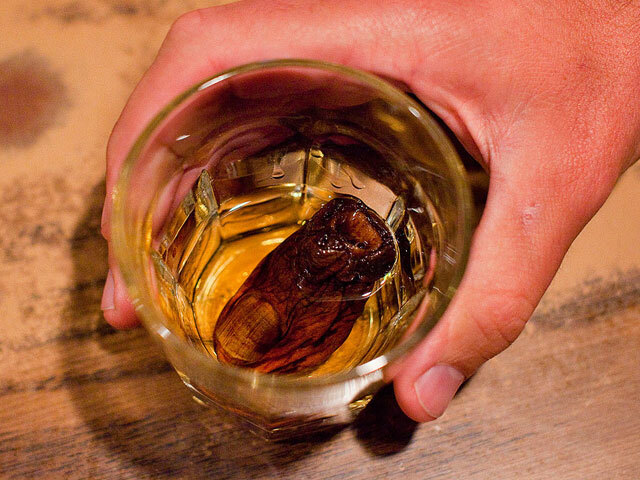 The main ingredient in the Yukon’s famous Sourtoe Cocktail, a real mummified human toe, was stolen. 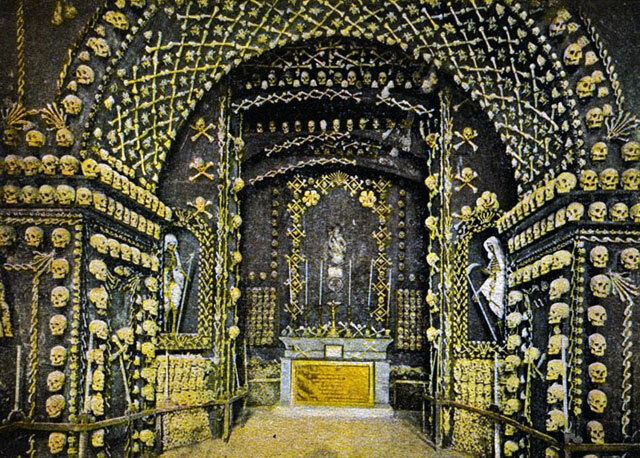 A lost Chapel of Bones still remains beneath the ruins of an ancient church in Malta. 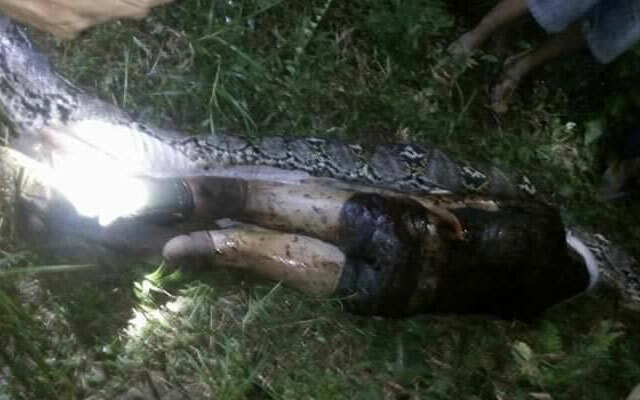 A man who went missing in Indonesia was eaten by a 23-foot python. 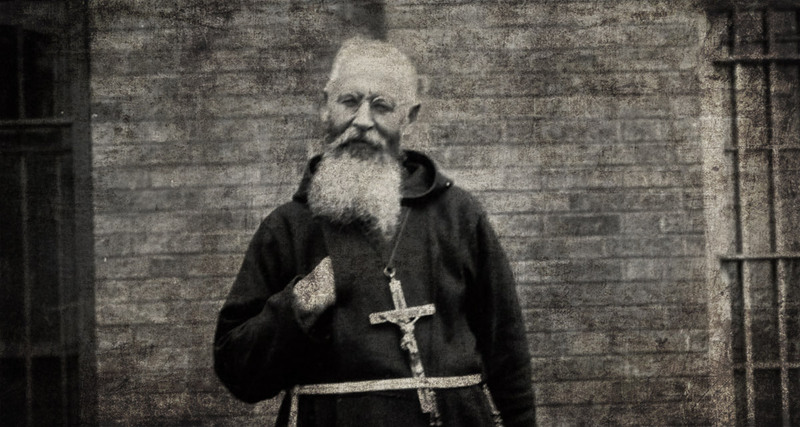 A brutal 1928 case of demonic possession became the inspiration for William Peter Blatty’s novel The Exorcist. 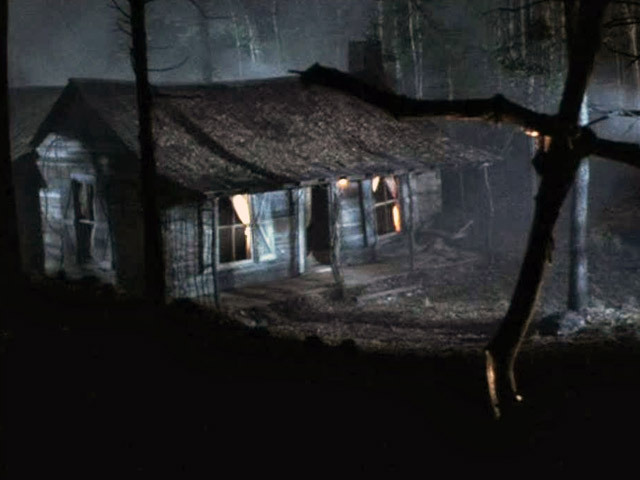 A piece salvaged from the ruins of the cabin used in Evil Dead 2 was sold on ebay. 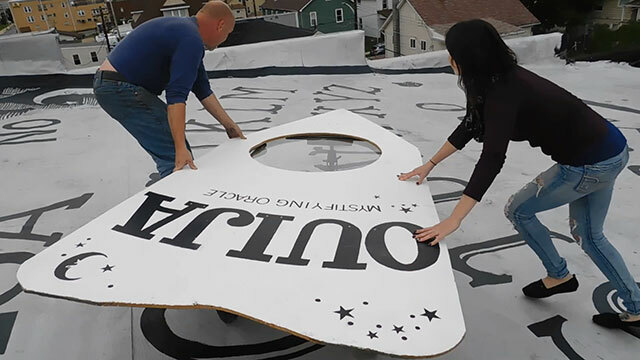 The world’s largest Ouija board is on the roof of the haunted Grand Midway Hotel. 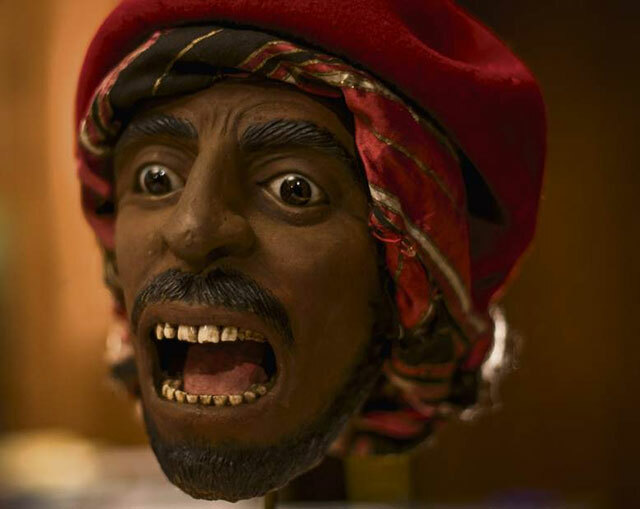 Restoration of a famous diorama at the Carnegie Museum revealed a real human skull had been used in the 150-year-old display. 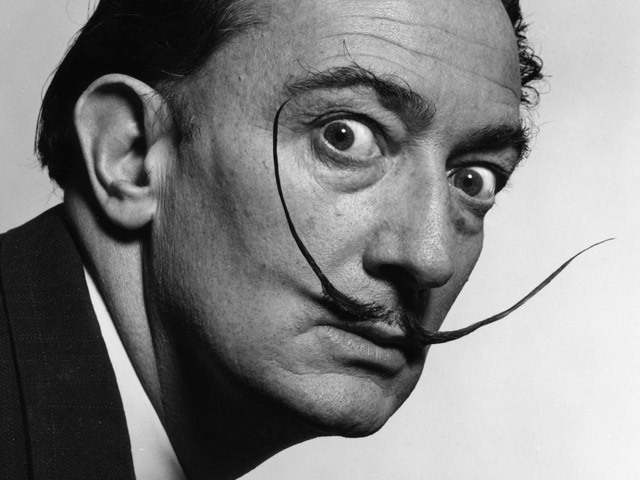 When the tomb of Salvador Dali was exhumed to retrieve DNA samples for a paternity case, the artist’s surreal mustache was found intact. 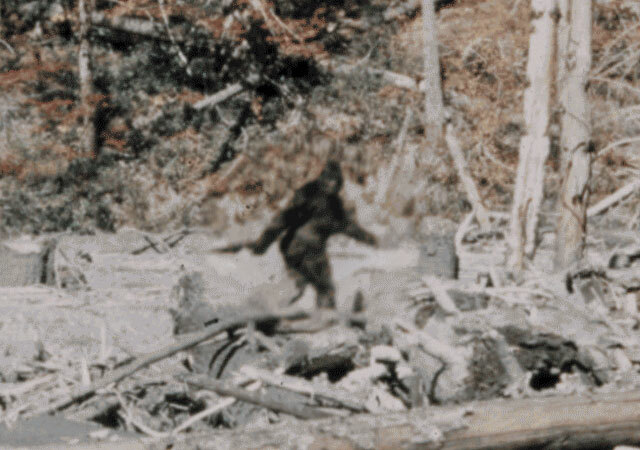 Purporting to show a female sasquatch walking along the banks of Bluff Creek in Northern California, the controversial Patterson-Gimlin Bigfoot film turned 50. 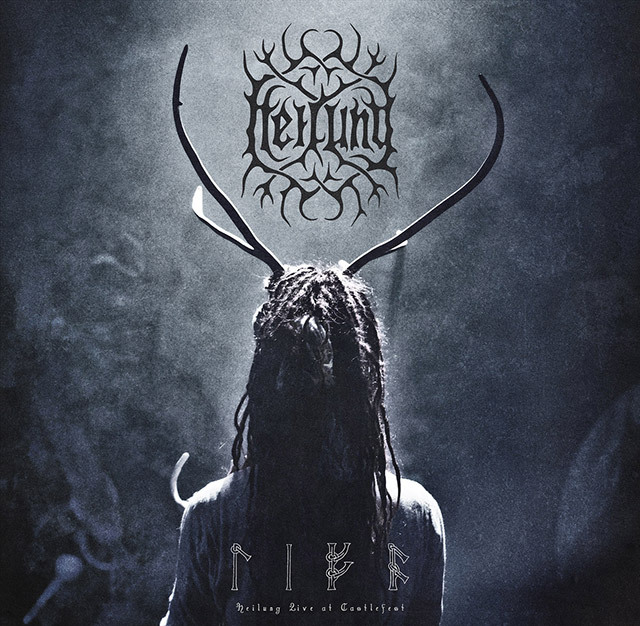 Watch this spellbinding performance of neopagan band Heilung from the Castlefest 2017 festival in the Netherlands. 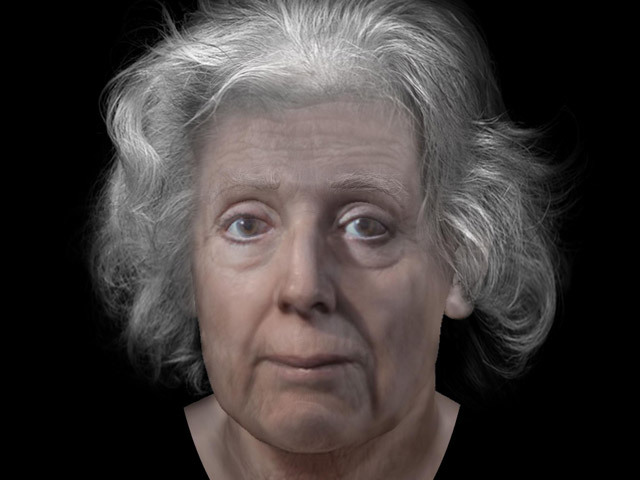 Using photos taken before the skull was lost, the face of the Torryburn witch was digitally reconstructed. 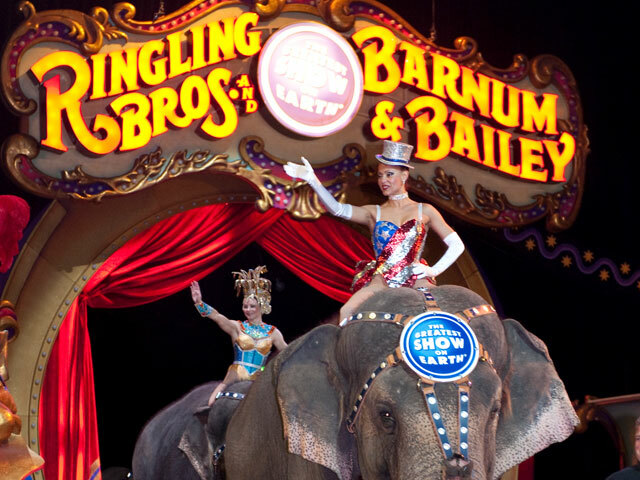 After 146 years, the Greatest Show on Earth came to an end with the final performance of the Ringling Bros. circus. 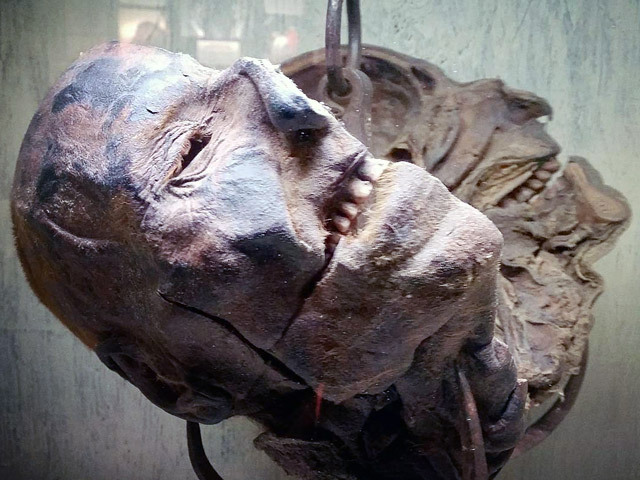 The mummified head of Peter Kurten, a depraved serial killer who was beheaded in 1931, is on display in the water park capital of the world. 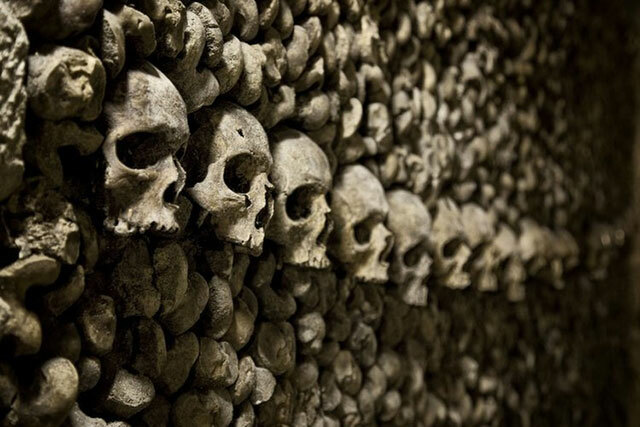 Two teens were rescued and treated for hypothermia after being lost in the Paris catacombs for three days. 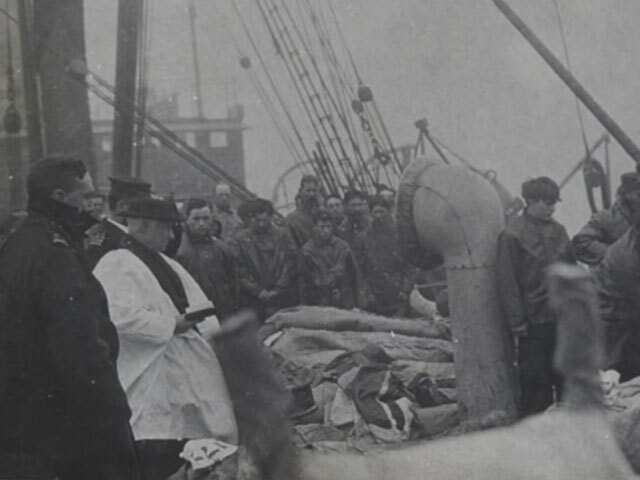 Only 333 bodies were recovered from the Titanic disaster. 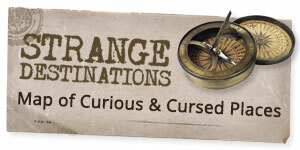 Those that were disfigured too badly to be identified were thrown back in. What happened to the rest? 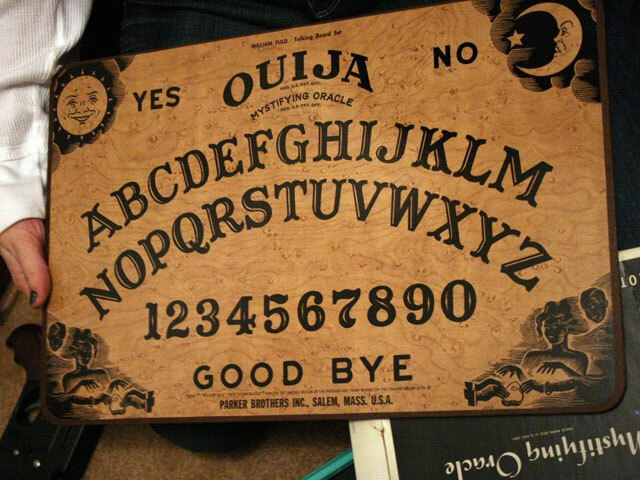 A Milwaukee teacher was suspended for using a Ouija board in the classroom. 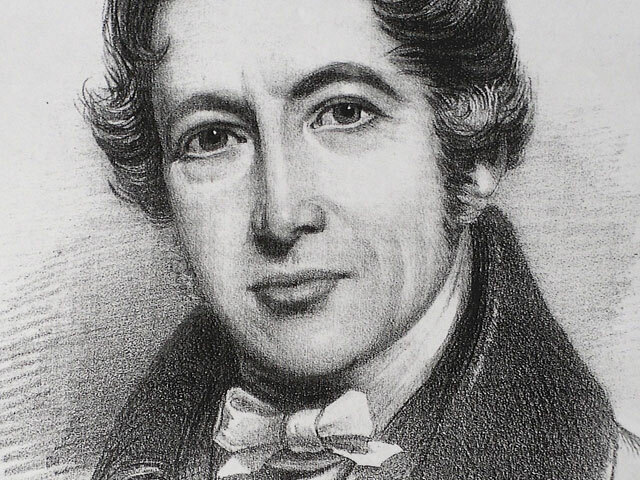 Deemed a blasphemer, 19th-century amateur scientist Andrew Crosse believed he had accidentally created life in a laboratory experiment. 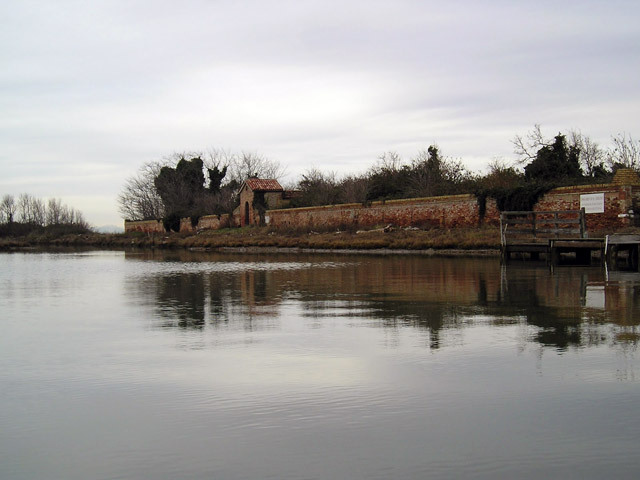 Funeral gondolas, flooding graves, and an island of bones: What the floating city of Venice does with its dead. 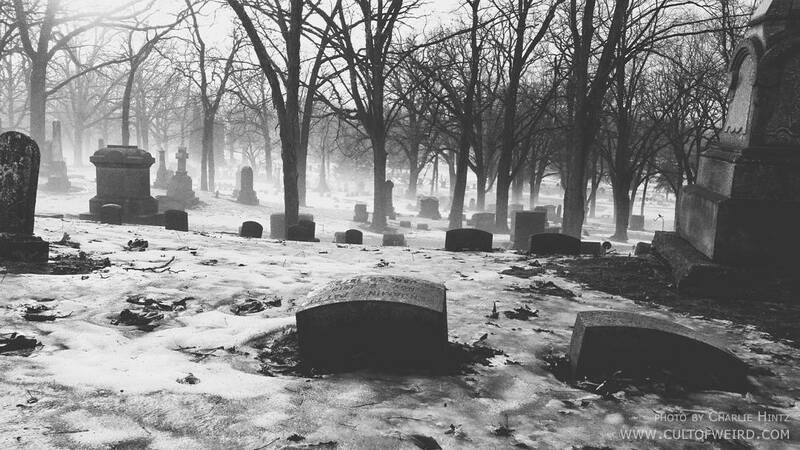 That time a band of beatniks exorcised the grave of Senator Joe McCarthy. 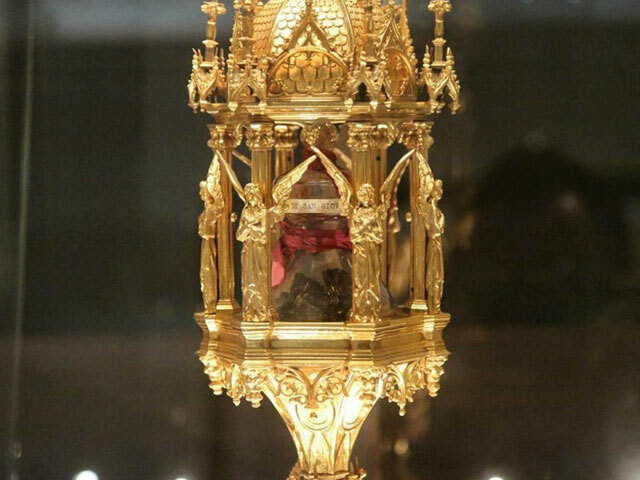 A sacred piece of St. John Bosco’s brain was stolen from an Italian basilica. 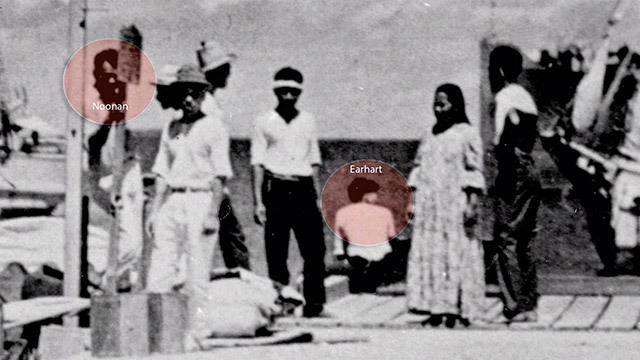 Forensic cadaver dogs used to search for the remains of Amelia Earhart on the remote island of Nikumaroro. 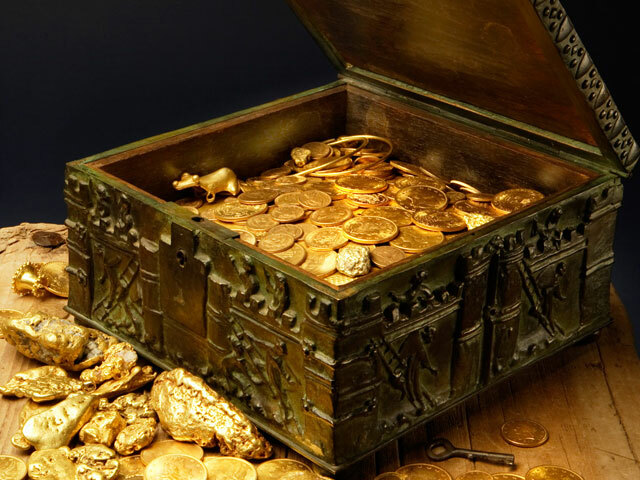 Families and police make plea to end treasure hunt, as another dies searching for Fenn’s hidden treasure chest. 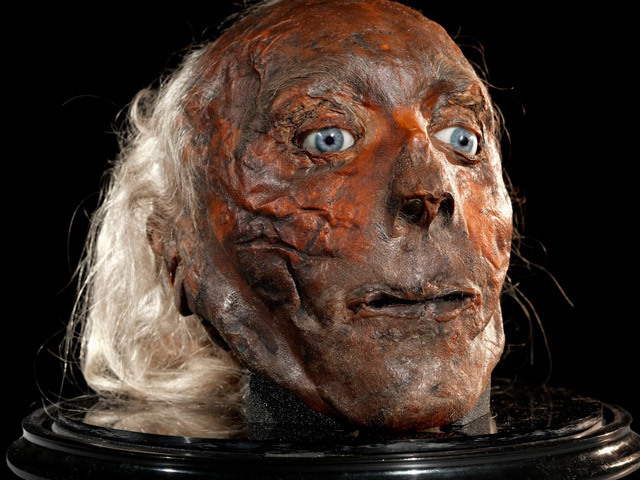 Jeremy Bentham’s preserved head went on display for the first time in decades. 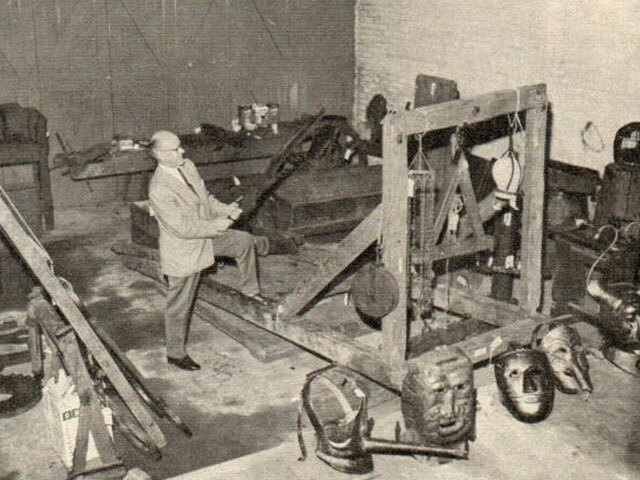 The history of the Nuremberg torture collection, the largest collection of used torture devices ever assembled. 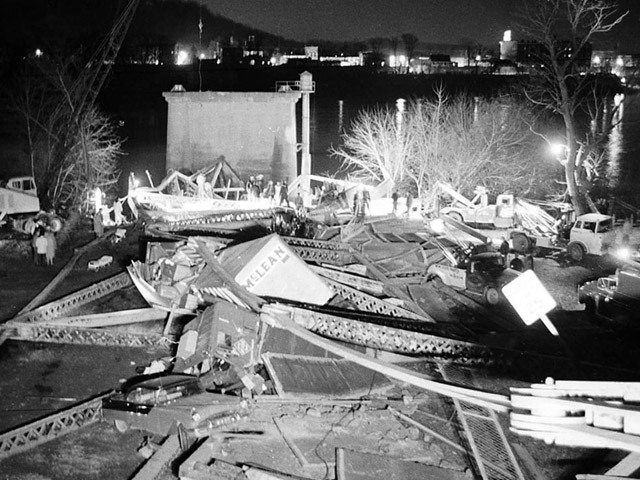 The Silver Bridge disaster, known for the bizarre rash of Mothman sightings preceding it, happened 50 years ago. This photo seems to show Amelia Earhart and her navigator Fred Noonan on a Japanese dock after they disappeared. 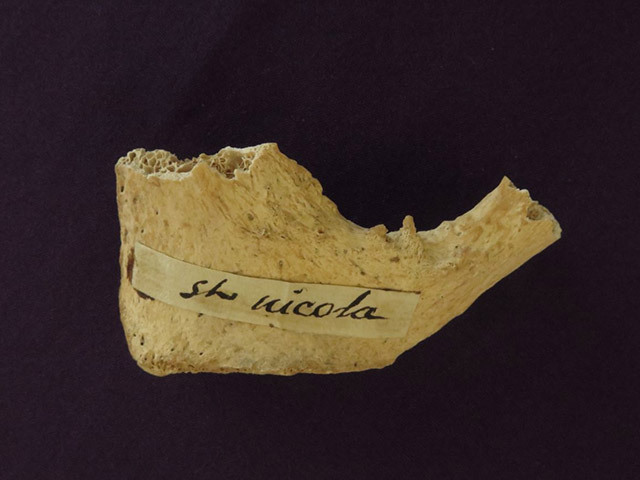 A bone fragment believed to be from the tomb of St. Nicholas has been dated to the correct era. 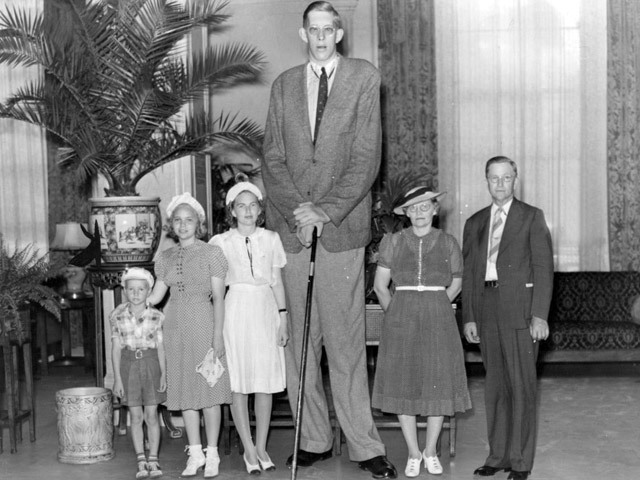 At nearly 9 feet tall, Robert Wadlow is the tallest person to have ever lived. 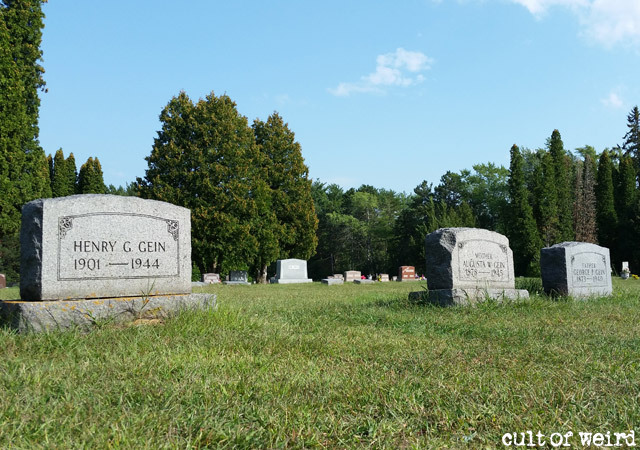 Ed Gein was arrested 60 years ago. Here’s the reason why his grave is unmarked. 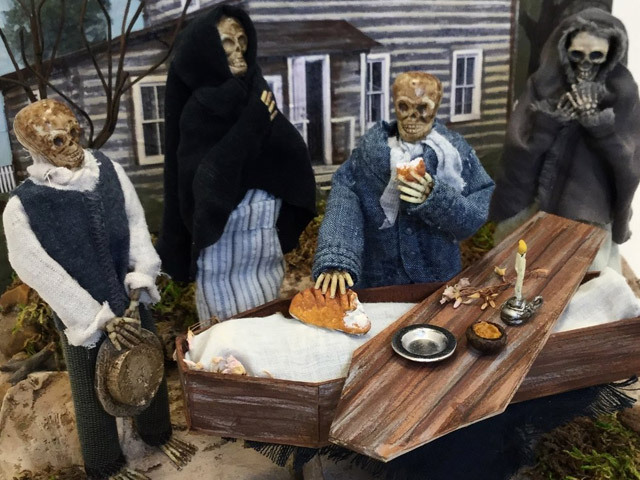 This artist creates detailed dioramas of dark moments in history using miniature skeletons. 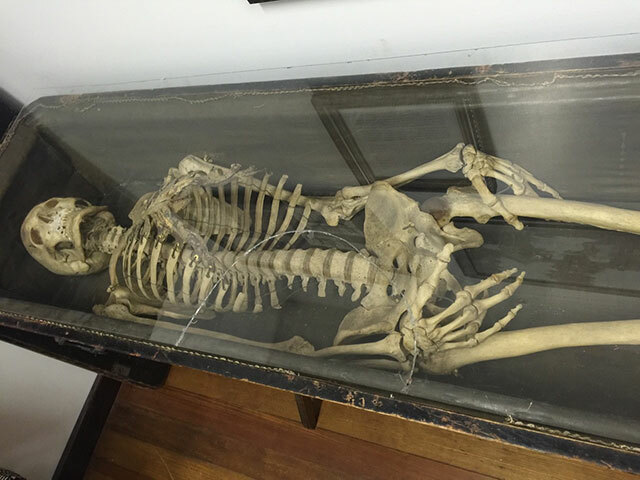 When the Odd Fellows moved out of their lodges, sometimes the skeletons in their closets got left behind. 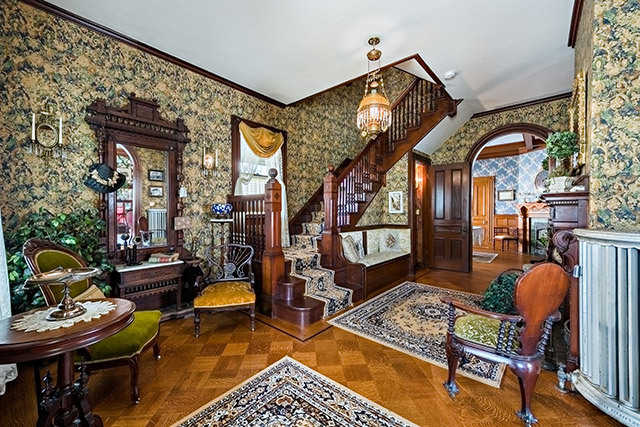 The Victorian mansion Lizzie Borden lived in until her death in 1927 is for sale. Here’s to a weird new year! May 2018 be supremely bizarre.